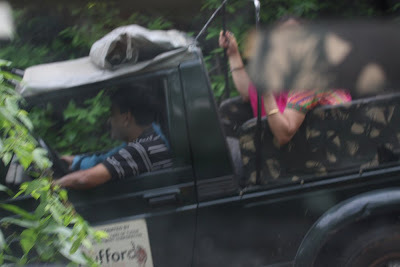 Ranthambhore Tale's.. .: Goof up of DFO - Ranthambhore .. .
Subject: The blunders and unwise steps of the DFO Mr. R.S Shekhawat in his four year tenure at Ranthambhore Tiger Reserve. Being the Ex-Director of the park and the Vice-Chairman of Tiger Watch, a Non Profit Organization which works for Tiger Conservation around Ranthambhore; I come to you today with a burden of care for the Ranthambhore National Park and its tigers – Which are facing great distress since the appointment of the DFO Mr. RS Shekhawat. In a span of 1 year, I have made a report of the various mismanagements in the park and the implications of it. This report talks about 33 points which were clear goof ups by the DFO in his tenure in Ranthambhore Tiger Reserve, either due to negligence or some hidden motives. I have also suggested some corrective actions for of the listed points. I sincerely hope that the following matter will be addressed with utmost care in the interest of the forest and its wildlife. The Goof ups of DFO - Ranthambhore in the past four years tenure.. .
1. Mining Activity around the Park. 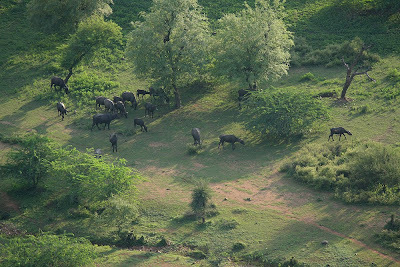 Ranthambhore is a very small park; hence protection of its smallest of wild area is very important. In the past three years, rampant mining has started around the park, in the reign of the DFO Mr. R.S. Shekhawat. This has led to destruction of the hills in various places. All these stone loaded vehicles pass right through in front of the forest department check post, office and head office too; but no one keeps a check on this activity. Whenever a pressure is created by the media, NGO’s on the Forest Department, these illegal mining mafias show a receipt from a stone quarry in Badhlaw village making this look like a legal mining activity. This is then supported by the foresters who get a handsome return in the favour. 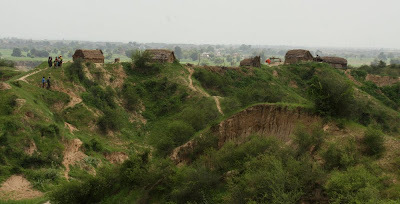 Reality of Badhlaw: this village is made at zero distance from the park there exists a mine with no stones in it. Every year this mine is auctioned and just one person takes the contract. He does one job and that is of printing receipts which he distributes to any person who wants to do illegal mining in the name of the Badhlaw query. Required Action: i. Whichever tractor comes in the city should be stopped by some forest barrier and its legal papers should be checked. ii. The Badhlaw query should be immediately closed. As it is, the place is at close proximity to the park boundary and secondly the query owner himself has started mining work in the park premises. 2. Weak defence by the forest department against miners in the court of law. High Court has issued an order stating that there will be no mining activity close to the park vicinity. GV Reddy, former CF of Ranthambhore with great difficulty got this order to stop the mining activity in the park. Mr Shivdayal Khaitik claims that he has won this case in the Supreme Court and he is mining at a frightening rate, they use crusher machine and even methods like blasting the hills disturbing the forest peacefulness. Required Action: An independent investigation commission should investigate the case and this mining activity should be put on hold at earliest. 3. 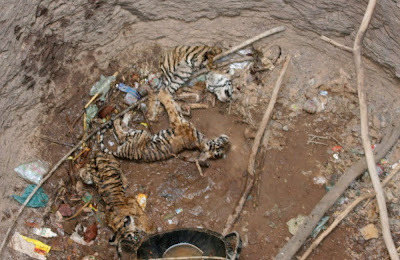 Monitoring Ignorance – Causing death of three tigers. Three young cubs along with their mother resided the Khandar area and the forest department was unaware of their existence. Unfortunately the cubs fell in a well and two cubs died, while the third cub too had succumbed acute dehydration and starvation. The tigress kept visiting the site of its dead cubs near the well for 5- 6 days yet the ranger and beat officers were unaware of this. Considering that she must have left innumerable pug marks yet no records of her presence was shown; this shows the lack of monitoring by the guards. Lastly a livestock grazer informed the Forest Department of the two dead cubs. The ignorance by the department was hidden by the DFO Mr R.S Shekhawat and instead two foresters were awarded to introduce the third cub back to forest! The third one which the FD claimed as rescued was also found dead few days ago. All the misdoings were put under the carpet by the department and to divert the horrendous incident...the third cub rescue was showcased as a grand event that is the tragedy of the case. Required Action: i. Lack of monitoring which is always an issue and this is a historic example of the same. Sariska tigers went in peril and half the population of Ranthambhore declined even that was not taken as an indication and the loopholes in monitoring continue so gravely. This patrolling should be addressed with a set protocol and procedures. Many times killing of the big cats and other wildlife animals is not done by poachers alone but also by villagers in order to take revenge for their killed cattle or destroyed fields.. . In 2007, a leopard was found dead hanging on a tree. 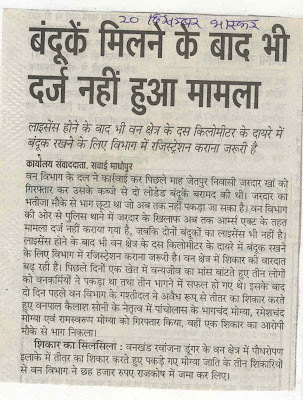 It was the burst of anger of the villagers of Kailashpuri who were showing their discontent with the forest department. A week before this incident – Tiger Watch had alerted the ranger of that area about this brewing anger. 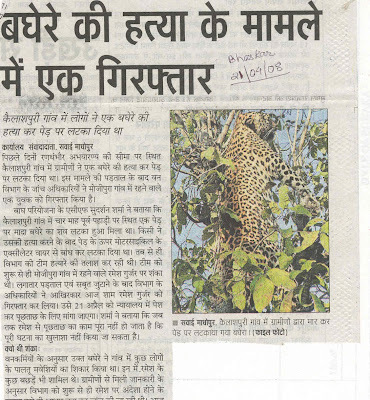 The reason was that the leopard had killed some livestock in that area, and not one man had received a compensation for his loss by the forest department. Required action: i. Cattle compensation should be given in time. ii. Mr RS Shekhawat spends much time with VIP tourists, but he should also spend time with villagers and keep the communication line open with villagers. 5. Ranthambhore doesn’t have any Wildlife veterinary doctor. In the past two years at least 10 big cats have suffered such incidents, there is NO Wildlife trained veterinary doctor in a prime tiger reserve like Ranthambhore since the time of Mr R.S Shekhawat. However in this case there is ignorance from the CWLW Mr R.N Mehrotra’s side too. There is no facility to keep injured wild animal in captivity during the treatment. Required action: Appointment of a wildlife trained veterinary doctor for the park. All three tigers come from the same father, known as Anantpura male. The two females are from the same mother, known as Jhalra female or Machhli. Before selecting tigers for relocation, no DNA analysis was conducted to ensure genetic dissimilarity by the forest department as they were the primary responsible authority for the selection. Required Action: Reintroduction of tigers from other reserves should be done at the earliest. At least 25 Sq. Km. Area of the Sawai Mansingh Sanctuary is encroached. Not a single inch of the land has been released back to the forest by Mr. R.S Shekhawat. 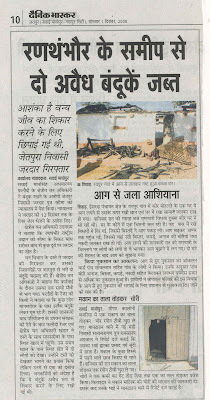 About three years back in July 2007, a local mafia tried to encroach an area near Bheronpura whom Ranger Mr. R.S. 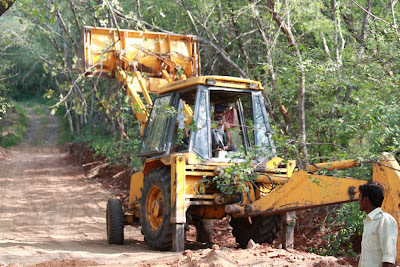 Kala tried to stop, by then a lot of trees were chopped and the land was flattened by them with a tractor which was later seized by Ranger Kala. The returns were paid not by the land mafia but by the Ranger. The court says that he is the culprit in this case but later he challenged the ranger and got him transferred. The transfer was done by Mr. R.N Mehrotra (CWLW). 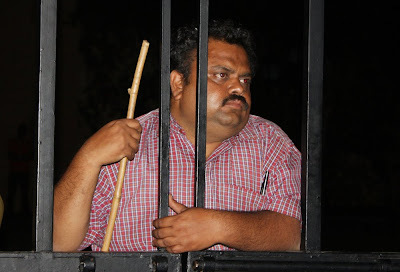 Till date he has not arrested while there are orders by the court for his arrest and prosecution. Required Action: It is a small case but if such small lands are not saved Ranthambhore National Park will soon turn into an agricultural field. Hence action in such cases is important. The forest department took the portfolio from the tourism department and this became a personal mission of Mr R.S. Shekhawat. Tourism department had deployed 34 personnel for this job and they were executing safari ticket booking work while the forest department was regulating tourist movement in the park. But Mr R.S. Shekhwat convinced government by lobbying some ministers and top officials and took over this ticket booking work. This year the tender is also not filled, this work is pending online booking are delayed and due to this not just the department is suffering but also the hoteliers and the tourist who suffer the most. For tourism, they deployed 1 ACF, 1 Ranger, 2 forester and about 20 -25 forest guards. The DFO now spends his time in managing the chaos at the booking office, conducting meetings, and one of the capable ACF who understands the issues of Ranthambhore is sacrificed for this job.. . Required Action: All this work is of the tourism department which is free from duties at the moment; while the forest department is struggling with so many tasks. 1. 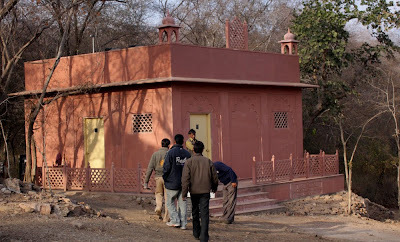 Lakrda Chowki: This is the central point of the park, in earlier times the FD themselves had removed the chowkitwice from this area and now once again a new post has been erected in Lakrda region, they cut several trees for construction of this chowki. They could have constructed it on the same place where the earlier chowki was constructed but they chose a new area which is hidden from passing tourist. Required Action: Most of it is done without permission and it needs to be audited. The next step is to demolish the unnecessary structures and the officers who have given sanction for it should pay from their salaries for the spent amount as there was no prior permission from the CEC and it was not in the management plan. Ranthambhore is an open park and in direction of Mr. S. R. Chowdhary many roads and infrastructure was developed in the required amount many years ago. However wondrously, Mr Shekhawat considers himself as management guru that he constructed the roads especially for the forest guards who don’t want to do patrolling by foot but want the luxury of gypsy’s. Several new road constructions in the forest leading to cutting of many trees, RNP already has several roads, tourists use some of these roads and disturb the quiet of the animals. Moreover Ranthambhore already has enough road system in the park hence there is no need to construct more roads. 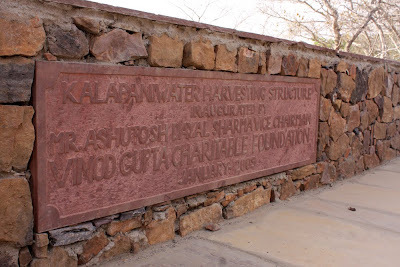 In Ranthambhore, there is huge exchange of monetary funds on road maintenance and road construction. Required Action: Such unnecessary roads should be blocked and further new construction should not be encouraged. There is a place called Sukhi Talai (Dry Pond) in Ranthambhore, which gives fantastic tiger sightings, but in spite of the name there is water seen in this place until December. 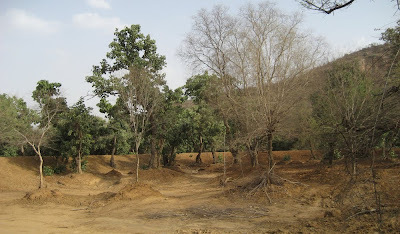 Today there are 50 – 60 such dry ponds created in Ranthambhore by the FD but with no water! Mr. Shekhawat constructed six talai’s and 10 anicuts in an area of 3 km. All the talai’s and anicuts are made on porous land, during the monsoon period for 2-3 months definitely it will hold water during which the trees in that area of the talai will be submerged and die; while for the rest part of the year thetalai will dry out due to the land porosity. Tigers are found in 30 other places but what about exclusive animals like caracals which are found only in one or two places like RNP? Their food is primarily these rodents and ground birds; hence if these small animals diminish the exclusive species like caracal will go with them! 6. All this was neither mentioned in the Park Management plan nor was it passed by the Supreme Court constituted Central Empowered committee (CEC) making it unlawful as well. 7. In recent times the FD took donations from various sources and constructed many more talai’s inside the core areas of the forest too... in return they put such foundation stones in many places of the forest! For all the construction done even the rules of tender were not followed. 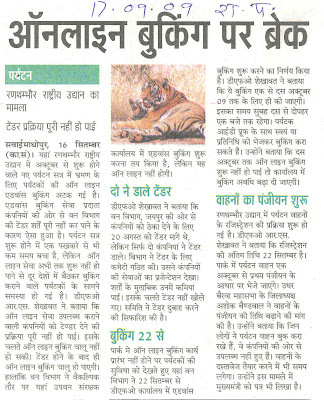 Required Action: Ranthambhore Tiger Reserve is a very fragile park we should treat it with sensibility and seriously. Some rangers are posted here since as long as 15 years and their main interest lies in this construction work, all these money making gimmicks should stop. 12. Forest department wanted poacher working in Ranthambhore National Park as Home Guard. 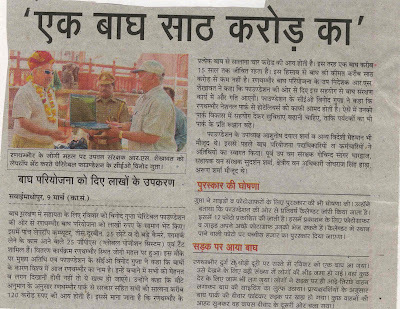 Recently some Home Guards have been recruited for the security of the park in Ranthambhore. In Khandar range, Sawai Madhopur too some home guards have been posted, this posting includes one individual named Sitaram Bairwa. Sitaram was posted at the Khandar Range, Ranthambhore. Sitaram Bairwa has very good relations with one of Baler's very influential person, and this influential person has good relations with the DFO R. S. Shekhawat of Ranthambhore. Sitaram Bairwa was a wanted poacher, he has poached a blue bull from the Baler range of Ranthambhore Tiger Reserve and he was wanted by the Baler Range, Forest department. This is known fact to the forest personnel too. Since then, Sitaram Bairwa has been removed from the post, and was also arrested for his poaching case. Hence such postings should be done with care. Required Action: This incident should be further investigated, and proper action must be taken against the DFO, Mr. Shekhawat. 13. CF’s Office shifted to Kota with the games of the DFO R. S. Shekhawat. 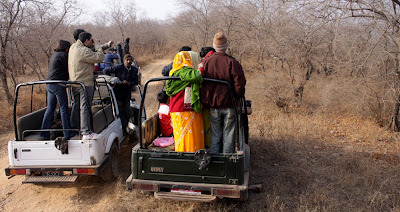 The CF of Ranthambhore Tiger Reserve is a very important post. The CF is one level above the DFO post. It is necessary for a senior IFS officer to be present at/near the Tiger Reserve. He has to govern the Tiger Reserve which is spread out in the states of Sawai Madhopur and Karauli. The main office of the CF of Ranthambhore has been shifted to Kota because of the politics played by the DFO of Ranthambhore (Sawai Madhopur), Mr. R. S. Shekhawat. Kota is approximately 150 kms away from Sawai Madhopur. This shifting of the office makes it difficult for the CF to govern the Ranthambhore Tiger Reserve with efficiency. Required Action: The CF’s office must be shifted back to Sawai Madhopur soon, as there will be a senior person to govern over the DFO Mr. Shekhawat’s inefficient working. 14. Use of Forest land for tourist accommodation (Tents) and waste of money and resources for this purpose. The DFO at times forgets his role; he went on to start tourism accommodation inside the park. Even forgetting that he is a forest officer, he started tourism inside the Tiger Reserve, in spite of the Government’s rule that there should be no commercial activity at a distance of less than 500 mts from the Tiger Reserve. With that in mind, he had several tents built in two locations in the protected forest area, i.e. at Balas and Jhoomar Baori. 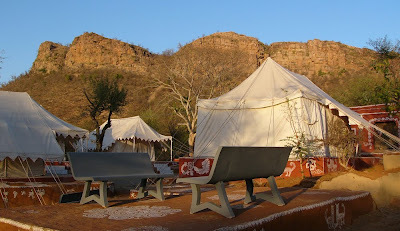 These tents had facilities like toilets and bathrooms. A different story, that these tents went unsuccessful with tourists. But by building the tents, Mr. Shekhawat was at fault. Firstly, he carried out construction for commercial activity inside the Tiger Reserve, which would have caused a lot of disturbance inside the forest. Secondly, the money (approximately 10-12 lakhs) which was used for building these tents was wasted. Required Action: The Government’s money wasted on building the tents came from the tax payers’ pockets. Ideally this money should be paid back by Mr. Shekhawat himself. 15. The diesel canters banned by the court of law was not appealed by the DFO in the right manner. 1. The high court gave an order that the diesel canters running in Ranthambhore National Park to be replaced by petrol or CNG canters. In India, no heavy vehicle is designed to run on petrol models, as these petrol canters have a low torque, and the terrain of the National Park is such that the canters won’t be able to work on such a terrain. The petrol canters accommodate less number of people than the diesel canters leading to an increased requirement of petrol canters in the park in comparison to the diesel canters again increasing the vehicle loads to meet the requirement. For this obvious reason there is no canter running on petrol in the whole of India. Mr. Shekhawat did not present the case properly, and hence was unsuccessful in appealing against the order. Required Action: The ban against the diesel canters must be re-appealed, presenting all the negative points of the petrol run vehicles. 16. 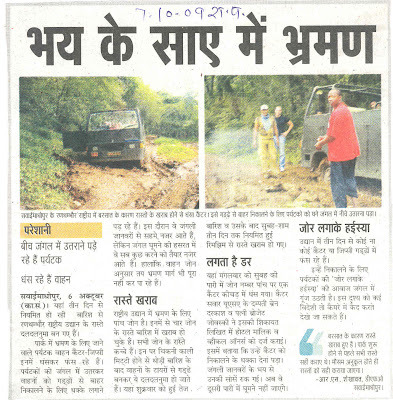 Unsafe vehicles are used for tourist safari. Due to the court order, new vehicles had to be commissioned. These vehicles do not obey the rules of transportation. These vehicles have a large body, on a small chassis. This makes the vehicles very unsafe for the tourists, as they can topple over on unstable terrain. There are no such vehicles that are manufactured commercially. These new canters are a type of ‘jugaad’(assembled vehicle). Also these vehicles cannot climb an inclined road properly. If the vehicle stops in between, then it cannot climb up the slope again. Due to this the tourists have to help in pushing vehicle. Tourists coming from various parts of the globe are facing such hellish experience in addition to lack of safety due to the petrol canter loopholes. Required Action: The petrol run vehicles should be decommissioned, because of the safety concerns. 17. Altering and damaging the terrain for the Petrol run Safari Vehicles. JCB Machines (Heavy Excavating Machines) are being used in the National Park to alter the terrain which would suit the petrol canters. 1) The animals get disturbed by the constant noise. 2) Trees are cut without permission. 3) The other vehicles that are used along with the JCB add to the atrocious noise pollution. 4) The usage of these machines denies employment to the locals living around the National Park. 5) The excavating machines also heavily alter the terrain and the habitat of the region, affecting the flora and the fauna. There has to be prior permission of the CEC (Central Empowered Committee) to carry out any sort of construction. Mr.Shekhawat did not carry out the construction activities by issuing tenders, but by using the money of the canter owners, some of whom are forest department officers. Required Action: Use of the heavy machinery inside the National Park must be stopped immediately, and the financing of these machineries must be investigated. 18. A million Rupees worth toilet.. .
Two chowki’s Anantpura and Guda both showcase million rupees worth toilets. Mr Shekhawat will be remembered for Ranthambhore’s urbanization. He didn’t just make so many chowki’s but also made 5 star toilet facilities to go with them. All this urbanization is an eye sore for the wildlifers, why were no basic facilities built in place of fancy ones? The implication of such expensive facilities is that due their demands for high maintenance they are being kept under lock and key most of the time.. . Required action: These types of structures should be stopped as they are non workable models. Anantpura is beyond the tourism zone in the first place and Guda falls in zone 1 of the park. If this man stays there will be many such structures at various places inside the park with no purpose. 19. Misuse of forest monitoring vehicles for Tourism.. .
Ranthambhore being a prime park has always benefitted with additional resources coming from various agencies. After the tiger crises a wave of help flocked in from all across the globe such as Mark Hillery of Tudor Corporation or the Rufford Foundation. Most of the funds coming in are spent getting some patrolling vehicles. Or the vehicles received for monitoring are misused. Misused How? Firstly, No ranger does ‘On foot monitoring’ of the park anymore. Secondly, the additional vehicles are used for the tourists and guests of the forest department. These vehicles not only use the forest resources like fuel which means more money wasted on fuel by the forest department but also the additional man power too! At any given time at least 4 forest vehicles indulge in this kind of tourism activity. In addition, they break the rules by staying till late inside the park and going beyond the tourism zone. They also started maintaining wrong log books. On what basis should we keep the DFO in a ‘Good Manager’ category? Required action: This activity should be immediately stopped. Perhaps one or two vehicles should be allotted for this and a separate log book be maintained and the VIP tourists should be charged for this facility. The government should allocate a budget for this. 20. Capable officers and staff cornered by the DFO.. . Similarly, another highly dedicated Ranger Mr. Kala was isolated, no infrastructure facility was provided to his zone...he stayed unhappy in his tenure and finally took a transfer from here. The employee satisfaction rate of a category below of staff will give a even graver picture of this man. How can such a DFO be called a capable superior? Required action: They need to understand the staff strength and align them in jobs accordingly. These type of managers can’t give results required. 21. Illegal Grazing in the Park. ..
Every year illegal grazing inside the park premises has been a problem. There have been innumerable conflicts in the past to stop the grazers who push their cattle inside the park. However this year, there was no such conflict which came to notice, the FD claimed that there was no such illegal grazing this year which cannot be true considering the cattle strength of the area. Conclusion, The illegal grazing issue was simply overlooked by the DFO this year. Required action: An independent team should be sent to access this situation and if there were cases of illegal grazing seen then the DFO should be penalized. To stop illegal grazing many efforts have been taken throughout the years, the history of the park speaks about this, and if it is over looked now, a wrong message will be sent to the grazers and the park will vanish with just this issue. 22. Illegal Woodcutting .. . The entire Kachida valley has been in catastrophe by illegal woodcutting. 50 year old trees been cut in 15 minutes by the villagers...and there is just one person responsible for this Mr. Hadda, the incapable ranger of the park. Even if overlooked by the officials the deeds of this man will be addressed by the heavenly forces. The entire Kachida valley has been in peril. The Kachida valley was one of the dense areas of the park and today it is left scantily covered with few trees.. .
Every alternate day a tractor trolley with this illegal wood goes from Bhid village to Hadoti village. If required we can provide you with villagers who have lodged a complaint themselves against this activity. This all happens in Mr. Hadda’s range. 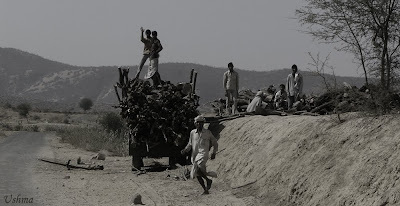 By coming under media pressure last year the forest department came in action and 32 bullock carts with illegal wood was seized in Khandar range, hence the graveness of the situation can be calculated. Required action: Dhonk (Anogesus pendula) is a slow growing but the main tree of this forest if it is cut at this volcanic speed there will be nothing left in this fragile forest. Today there are forest guards, ex-army men, cattle guards, RAC personnel’s, home guards all combine to a strength of 500 men to protect the reserve yet there is no intelligence gathering network in hand to combat the poachers. Need a registration to keep guns within 10 km range of the forest area.. . No report has been sent to the Police Department by the Forest Department. The department still lays clueless about the poaching scenario, some places foot trap is found while in some other place illegal gun is seized. The gun cases are generally not registered and no or little action is taken against them. The department knows about the main culprits behind poaching – Mogya community – many promises have been made in the past to reform and rehabilitate them but no action is yet taken. Required action: The FD needs to have a data base of the poachers; today Tiger Watch has all the required data base with them, to date the department has never come forward to ask for information with Tiger Watch which should be done and there should be cooperated efforts between government and other agencies. The FD recruited ex army men and they started working in the park, however in between their tenure almost six months post recruitment when their records were asked for almost half of them vanished. It was later found that they were local villagers and not any army personnel’s. 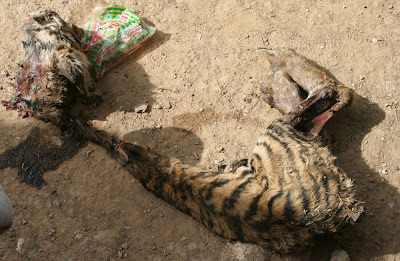 In end of 2007, Project Tiger (now NTCA) had given permission to radio collar tiger Yuwaraj which left RNP and went to Sawai Mansingh Sanctuary going beyond it too... the media and NGO’s created pressure to monitor the tiger but there was a remarkable delay and finally Yuwaraj was killed by poachers in the Sakhawada lakheri area of Bundi. The main poachers – Bachu Mogya, Moliya Mogya and Sakrama Mogya – have not been arrested. Tiger Watch has their photographic documentation, which they are ready to share with the FD. Required action: Such stayed tigers should be left in empty spaces of the park or shifted to Sariska Tiger Reserve. The corridors should be secured for them; CWLW Mr. Mehrotra keeps speaking about ‘Safe Tiger Corridors’ but no action is taken to date. 26. 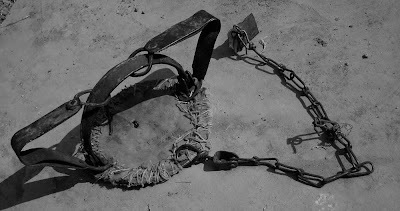 Radio Collar loopholes.. .
1. Selection of Tiger: the well known tigers were selected for radio collaring which was not required as it was very visible zone, a tourism area like Rajbagh (T17 – Collared Queen’s area) for study purpose. If their territory is to be studied the area is easy to observe any which way. 2. Selection of Radio Collar: T3 tiger’s radio collar stopped working much before its expected period. The more interesting fact is that the collar fell somewhere... similarly male tiger of sariska’s collar also disbanded before tenure. The tiger has to be tranquilized before hand for this radio collaring purpose and with these frequent snaps the tiger suffers the most. WII should file a complaint against the institutes which are manufacturing the radio collars. 27. Social breakup of tigers.. .
1. 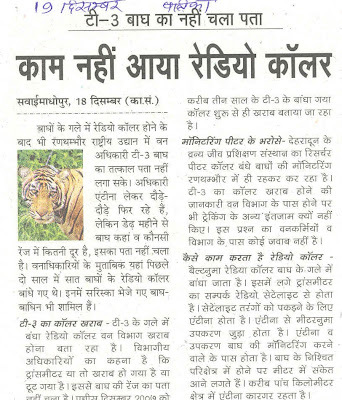 Tigers shifted from established territory – the female tigress T18 was in a mating bloom when she was shifted to Sariska and the male might still be searching for a companion in that area today. Besides her, the remaining two tigers were shifted from the centre of the forest disturbing the tiger ecology. The question here is – Why were the transient tigers/ staying tigers not picked up for the Sariska relocation plan? NTCA had issued a special order to not lift any tiger from core area of the park yet T18 was lifted from Guda Nagdi area. also T1 was taken from core area – Mandoop, Similarly T10 was lifted from Bakola area! 2. Siblings were shifted – It was established that Siblings were shifted from Ranthambhore – all the three tigers had same father and the two tigress had same mother...no prior study was conducted, here again comes the question of radio collaring of tigers; if study was done then why was the selection such a disaster? This type of records should be kept by the local manager of the park Mr Shekhawat, even a pinch of interest in tiger conservation would have triggered the question of sibling selection in his mind. But sadly his interest lies in tourism management. 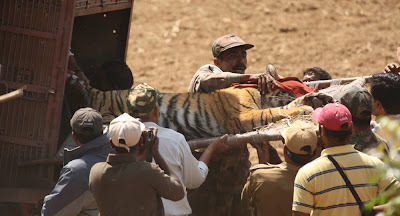 Required Action: Future relocation plan should include the straying or transient tigers to be shifted for such relocation drives and not the established tigers from the park. Mr Mehrotra envisioned a great dream of having tigers again all over Aravalli, he promised having tigers on Mukundra hills aka rajiv Gandhi or Darra Sanctuary; sadly forgetting the ground reality. It is a shame that in past 3 years this problem has aggravated and no action has been taken on it...some areas like Bhuri pahadi Dungi, Bhid, Jogipura, Talawada, Sawanta, Moroj, Talakhej, Maharo, Lunawadi, Kararki, Fatehpur, Chota Sawata, Ghadain, Bajoli, etc are stretching their territories and if not stopped soon the forest will be engulfed by them. Required action: Understanding the gravity, and freezing the situation right away. A hold on this encroachment activity immediately. And lastly, all airy talks about the Mukundra hills should be thought deeply before vocalising. 29. Gifts from NRI’s.. .
Vinod Gupta is a rich NRI from the USA. His main interest lies in getting VIP treatment in Ranthambhore; he gets expensive gifts such as camera and binoculars for the forest department which is not recorded anywhere in their register.. .even so, how can private donations be taken by individual donors for special privilege? This trend started by Mr. Shekhawat will have a long term effect on the park management. Required action: This act should be put in span of corruption and inquiry should be done on any other such cases of private donations. A shady agent named Deep singh was deputed by Mr. Shekhawat for anti-poaching operation. This man helped in seizing two leopard skins and a crocodile skin, but no poacher was arrested. What was done was a greedy but innocent truck cleaner was put in the case, first he was caught red handed with the crocodile skin which was probably planned by Deep Singh but later he was also charged for the two leopard skin case. Thus a innocent victim fell in the Forest departments nabbing. Required action: The poacher roams free while an innocent man is suffering due to his greed... impact of such acts can be disastrous in long term for the entire government. Chambal comes under Mr. Shekhawat. Within some parts of the Chambal Sanctuary, Pali he permitted to fix tents for tourists. If seen with a practical eye the gharial is even more endangered today as compared to the tiger. Gharial comes in schedule I of wildlife protection act, 1972. It is a critically endangered species. If such important species protection is not addressed but the DFO finds time for other activities like tourism, should we expect him to save the wildlife? How can the states CWLW talk about getting Cheetah from Namibia when he is least concerned of the endangered species like Gharials and Tigers? Required action: Regular and vigorous monitoring of Chambal River. The online booking website of the FD has been operational since a year now, which made it possible for tourists all across the globe to book their safari tickets online without any agent charges. But, the system of online booking crashed this year when the tenders were not filled in time and the park opened. Most of tourists were forced to take black tickets and it was seen that the Rs. 450/- gypsy tickets were sold in Rs. 1300/- by the agents and FD personnel’s in the first week of October ‘09. Sadly, the DFO Mr. Shekhawat who has taken the job of tourism with gusto could not do that too in an organised manner? Required action: The work of tourism department should be done by them and not by the Forest departments when they FD has the Chambal Sanctuary and other areas to look at. Forest Ranger Mr. Dinesh Gupta was beaten black and blue by the villagers of Dungri village when he tried to stop mining in the area. The villagers claim he was beaten because he asked for under the table money from them for the mining. The ranger denies being beaten. Required action: No case was registered against the villagers, as the DFO did not keep the morale of the ranger, instead asked him to be submissive. In recent times the FD took donations from various sources and constructed many more talai’s inside the core areas of the forest or some other construction work ... in return they put such foundation stones in many places of the forest! This is a tiger reserve but it looks like a memorial now in many places! Required Action: Such activity should be stopped, after all this is a forest land and not a museum. All the foundation stones should be removed. Young tiger cubs who lose their mothers like the Devpura tiger or the Berda cubs are fed Padha (Buffalo calf bait) which alters their natural behaviour. This has led to the tigers straying out of park to nearby villages and hunting the villager’s cattle, which in turn brews bad blood by the villagers for the wild animals. Required action: Good monitoring is required to ensure the cubs are not harmed, but they should be allowed to learn from their instincts and do the hunting. Phew...what an extensive write-up with action points. Awesome! I completely agree on all points, but one: I just didn't understand about the canters - are you in favour of diesel canters? I can´t belive so...Should't be any canters at all, they are too noisy, and if there is to be coherence in all actions, as petrol canters do not exist, canters should be banned! (this is the main reason behind the plea for banning diesel canters - it is to ban the canters). Another thing that was very enlightening for me in this list was about the Forest department staff being used for ticket booking job. This now explains why visiting Ranthambhore was such a mess, with that unefficient route system. The route system must evolve together with the booking activity been transferred back the Tourism Department. Thanks Cassio that you read the entire blog.. .It is quiet possible that my approach towards the canter might be wrong.. but it is practical for sure.. There is a maximum limit of the total number of vehicles which is 40 (any type of vehicles)made by the forest department since few days there is a system in which half big and half small vehicles go in the park these big vehicles are canters. If the canters are banned due to the reason that they are noisy then there is no other vehicle of that size available and the tourist would be sitting outside the park.. .
the new canters that they have started are too weak to reach all the areas of the park.. .the department is changing the terrain of the park to use these vehicles, that too using heavy excavators; what can be worst then that? Everyday there are complaints that the tourist were stuck in so and so area and they had to get down and push the vehicle, besides making a 12 seater vehicle a 20 seater.. and setting up a huge body on a smaller chassis makes it unsafe besides you are altering the terrain for this too! As for the Ganeshji temple and the villagers you are completely right but the government has not found any alternate solutions for them too.. . Since I am a government servant, I can't say things like "shoot the F*****" though I may feel that way! I wish the Forest Service recruited people who love the forest but I suppose thats too much to ask. I love Ranthambhore and visit whenever possible. I am concerned about the charges, but without taking sides, some of the problems clearly do not seem to be falling in the domain of Mr Shekhawat. These decisions must have been taken at a higher level. The letter makes it seem like Mr Shekhawat is running the entire Rajasthan forest department. Also... Mr Rathore has addressed Mr Ramesh as "Jairam Sahib". Somoeone needs to tell Mr Rathore that this kind of language disappeared with the British. Its good that you agree that goofs have occurred, if not at DFO level they have happened at some level, and we are grateful Mr Shekhawat doesn't run the FD of Rajasthan. You might soon read Goof up's Part II.. .
Also...We had conveyed your message to Mr. Fateh Singh Rathore and he said that the word 'Sahib' is a Persian word which means - friend. Anyway Mith sahib, thank you for reading the blog. .. This is a good snapshot of how the Indian Government and its bodies operate! Good Lord, Indians pray everyday....maybe that is what helps them survive their government and its tortures. India is a beautiful country, rotten by its leaders and looted by the greed of politicians. Hardly ever will there be a justification of how funds are used and maybe never will a decision be taken after thoughtful deliberation of weighing all pros and cons.....they only work for money and ways and means of how to corner it, making billions for themselves and leaving the poor animals and the people of the land to struggle and die in misery. I am glad to see someone has taken the time and put in the effort to speak up and create this website....Thank you Sir, hats off to you, Great work! It would be better if the tenure of mr fateh singh as director of the park too is highlighted and shekhawats view too had been incorporated in the story........before coming up on any conclusions. Its heard that fateh singh still wants same treatment he had during his tenure as director there, and the said acf sharma and ranger kala being his close associates being sidelined for their misdeeds and corrupt practices are involved in drafting the said leteer send by fateh singh to hon. minister of forests. Mr. Shekhawat is welcome on this forum to give his view. Excellent presentation of problems and suggestions! Kudos to Mr.Fateh Singh. Waiting to see what actions will be taken.